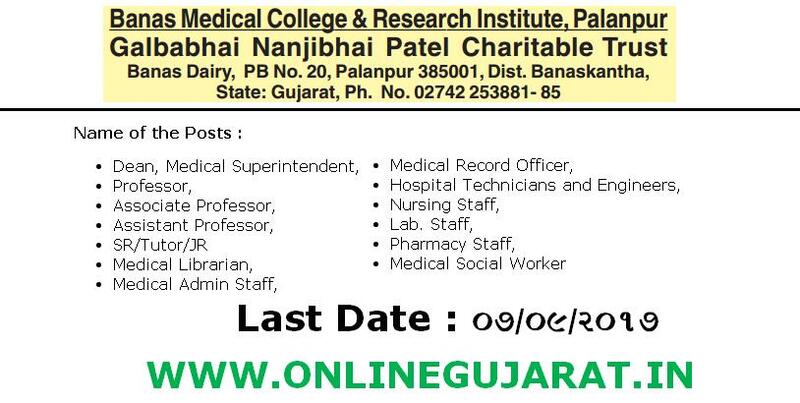 Name of Organization: Banas Medical College & Research Institute, Palanpur Galbabhai Nanjibhai Patel Charitable Trust . Medical Social Worker & Health Educator and allied staff. Education Qualification : Eligibility, qualification, experience etc. and other requirements will be as per government rules and MCI guidelines..
How to Apply :Interested & eligible candidate can send their application (CV) at the following address & mail to banasmcri@gmail.com on before 07-09-2017.